New York, NY — The US Consumer Product Safety Commission (CPSC) and Bugaboo International have voluntarily recalled Bugaboo Cameleon and Bugaboo Donkey Model Strollers for fall and choking hazards posed by the defective product. The CPSC and Health Canada reported the product recall on January 15, 2013. The strollers were recalled after discovering that the button on the stroller’s carrycot/seat carry handle can become disengaged and cause the handle to detach, which poses fall and choking hazards to young children. “This recall involves the carry handles on Bugaboo Cameleon and Bugaboo Donkey model strollers with detachable carrycots/seats. 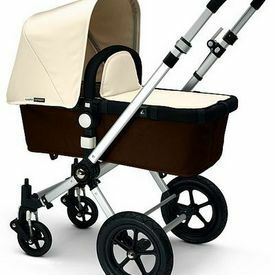 The strollers were sold with a base, sun canopy and other accessories in various colors. A fabric tag on the side of the sun canopy has Bugaboo and the model name. Strollers included in the recall have a serial number that falls within the range listed below. Serial numbers are printed on the stroller’s chassis, located under the carrycot/seat,” the CPSC reported. Consumers are advised to contact Bugaboo for a free replacement handle. Consumers can continue to use the strollers while awaiting the replacement handle. For more information concerning the product recall, consumers can contact Bugaboo International; at (800) 460-2922, from 7 a.m. to 4 p.m. PT Monday through Friday, or online at www.bugaboo.com and click on “Important Quality Initiative” for more information. Consumers can email the firm at serviceus@bugaboo.com.